First published in Pravda No. 51, March 2, 1924. Sent from Cracow to Capri. Lenin Collected Works, Volume 35, pages 121-124. Whatever are you doing? This is simply terrible, it really is! Yesterday I read your reply in Rech to the “howling” over Dostoyevsky, and was preparing to rejoice, but today the liquidators’ paper arrives, and in it there is a paragraph of your article which was not in Rech. So it turns out that you are against “god-seeking” only “for the time being”!! It turns out that you are against god-seeking only in order to replace it by god-building!! Well, isn’t it horrible that such a thing should appear in your article? God-seeking differs from god-building or god-creating or god-making, etc., no more than a yellow devil differs from a blue devil. To talk about god-seeking, not in order to declare against all devils and gods, against every ideological necrophily (all worship of a divinity is necrophily—be it the cleanest, most ideal, not sought-out but built-up divinity, it’s all the same), but to prefer a blue devil to a yellow one is a hundred times worse than not saying anything about it at all. In the freest countries, in countries where it is quite out of place to appeal “to democracy, to the people, to public opinion and science”, in such countries (America, Switzerland and so forth) particular zeal is applied to render the people and the workers obtuse with just this very idea of a clean, spiritual, built-up god. Just because any religious idea, any idea of any god at all, any flirtation even with a god, is the most inexpressible foulness, particularly tolerantly (and often even favourably) accepted by the democratic bourgeoisie—for that very reason it is the most dangerous foulness, the most shameful “infection”. A million physical sins, dirty tricks, acts of violence and infections are much more easily discovered by the crowd, and therefore are much less dangerous, than the nubile, spiritual idea of god, dressed up in the most attractive “ideological” costumes. The Catholic priest corrupting young girls (about, whom I have just read by chance in a German newspaper) is much less dangerous, precisely to “democracy”, than a priest without his robes, a priest without crude religion, an ideologically equipped and democratic priest preaching the creation and the invention of a god. For it is easy to expose, condemn and expel the first priest, while the second cannot be expelled so simply; to expose the latter is 1,000 times more difficult, and not a single “frail and pitifully wavering” philistine will agree to “condemn” him. And you, knowing the “frailty and pitiful wavering” of the (Russian: why Russian? Is the Italian any better??) philistine soul, confuse that soul with the sweetest of poisons, most effectively disguised in lollipops and all kinds of gaily-coloured wrappings!! And isn’t god-building the worst form of self– humiliation?? Everyone who sets about building up a God, or who even merely tolerates such activity, humiliates himself in the worst possible way, because instead of “deeds” he is actually engaged in self-contemplation, self-admiration and, moreover, such a man “contemplates” the dirtiest, most stupid, most slavish features or traits of his “ego”, deified by god-building. From the point of view, not of the individual, but of society, all god-building is precisely the fond self– contemplation of the thick-wilted philistine, the frail man in the street, the dreamy “self-humiliation” of I he vulgar petty bourgeois, “exhausted and in despair” (as yon condescended to say very truly about the soul: only yon should have said, not “the Russian”, but the petty-bourgeois, for the Jewish, the Italian, the English varieties are all one and the same devil; stinking philistinism everywhere is equally disgusting—but “democratic philistinism”, occupied in ideological necrophily, is particularly disgusting). Reading your article over and over again, and trying to discover where this slip of your tongue could come from, I am at a loss. What does it mean? A relic of the “ Confession”, which you yourself did not approve?? Or its echo?? Or something different: for example, an unsuccessful attempt to bend back to the viewpoint of democracy in general, instead of the viewpoint of the proletariat? Perhaps it was in order to talk with “democracy in general” that you decided (excuse the expression) to indulge in baby-talk? Perhaps it was “for a popular exposition” to the philistines that you decided to accept for a moment their, the philistines’, prejudices?? But then that is a wrong approach, in all senses and in all respects! —from the proletarians (who know how to be of good cheer not only in words, and who are able to distinguish the “science and public opinion” of the bourgeoisie from their own, bourgeois democracy from proletarian democracy)? P.S. We sent you the novel by registered book post. Did you receive it? P.P.S. Get as good medical treatment as you can, please, so that you can travel in the winter, without colds (it’s dangerous in the winter). 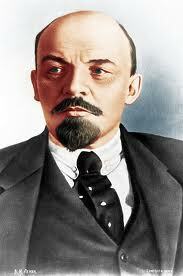 Lenin’s letter was prompted by the appearance in Russkoye Slovo (Russian Word) No. 219, September 22, 1913, of an article by Gorky “On the Karamazov Attitude”, protesting against the Moscow Art Theatre’s staging of Dostoyevsky’s reactionary novel The Possessed. The bourgeois press came to the defence of the play and Gorky replied with another article “Once Again on the Karamazov Attitude”, which was published in No. 248 of Russkoye Slovo, October 27, 1913. Large sections of the article, but without the concluding para graph, were reprinted on October 28 (November 40) in Rech No. 295. The next day Gorky’s article, including the final paragraph, which Lenin quotes in full in his letter, was reprinted in the liquidators’ Novaya Rabochaya Gazeta No. 69. Russkaya Mysl (Russian Thought)—literary-political magazine that was published in Moscow from 1880 to 1918. After the 1905 revolution it became the organ of the Right wing of the Constitutional-Democratic (Cadet) Party. Izgoyev, A.S., a bourgeois journalist, was one of the ideologists of this party.